Ekoore announce two new tablets running Ubuntu 11.04 - OMG! Ubuntu! Little-known Italian hardware manufacturer Ekoore have announced two new tablet computers running Ubuntu 11.04, and a third running Android. Apparently named after programming languages, the Ekoore Perl has an 11.6″ 1366 x 768 screen, and the Python has a 10″ screen. The former measures in at 0.55″ thick and the latter at 0.62″ making for a fairly comfortable – although slightly bulky – size. For comparison, the Apple iPad 2 is 0.34″ thick. As for the guts inside, the tablets appear to be little more than a stripped down netbook. The more expensive Perl boasts a 1.66 GHz Intel Atom N450 processor, GMA 3150 graphics, 1 or 2GB of RAM, a solid state disk, 3 USB ports, WiFi, Bluetooth, and 3G; while the slightly cheaper Python tablet has all of the above except an Atom N455 clocked at 1.6GHz instead of the N450 in the Perl. Battery life on the devices is estimated at somewhere between 3 – 5 hours. The Perl will set you back €559.00, while the Python is €539.00. Ekoore also announced a third (much cheaper and smaller) tablet running Android. 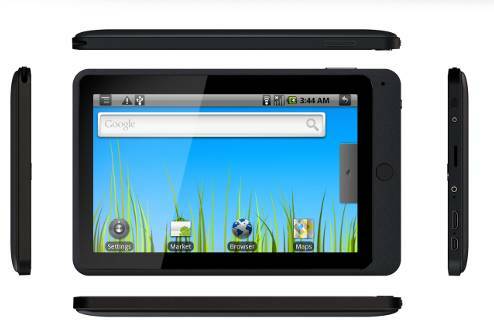 The 7″ Pascal comes with a Cortex A8 CPU and Android 2.3 and costs €229.00. More information and ordering information can be found on Ekoore’s website.